If you haven't heard, the Best Show On Four Legs has come to Los Angeles! 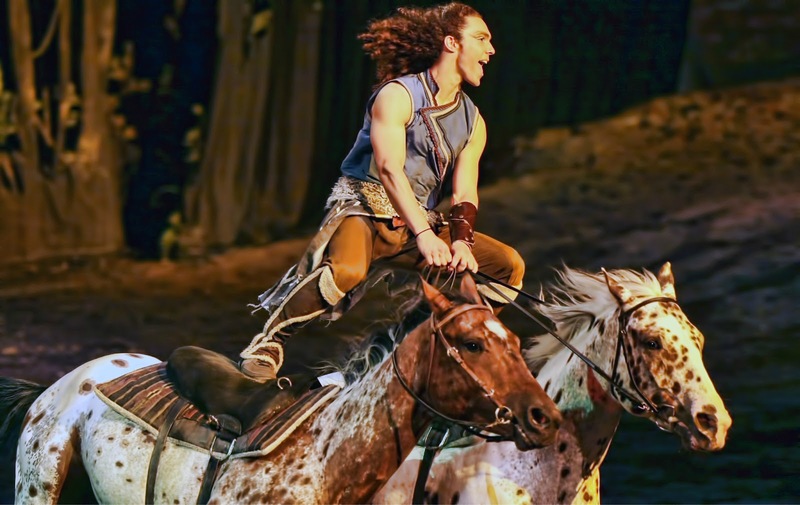 Cavalia's Odysseo, is a blend of theatre, ballet, acrobatic arts and equestrian wonder! A partnership between our four-legged companions and the powerful bond they share with their two-legged partners that is a must see! 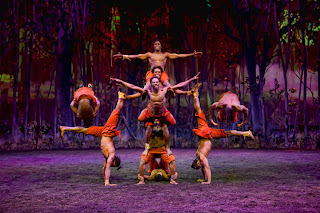 The natural movements compiled with the high-tech special effects makesfor a mind bending dream-like show. 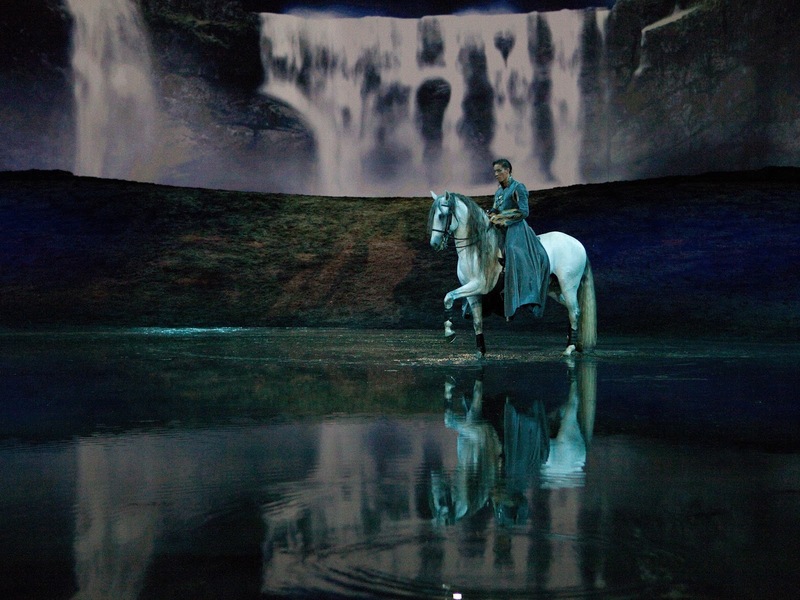 The show includes a never before attempted onstage, 80,000 gallon lake and a real life carrousel! Anyone that is horse-crazy or can appreciate the beautiful rhythms of the horse should not miss this. 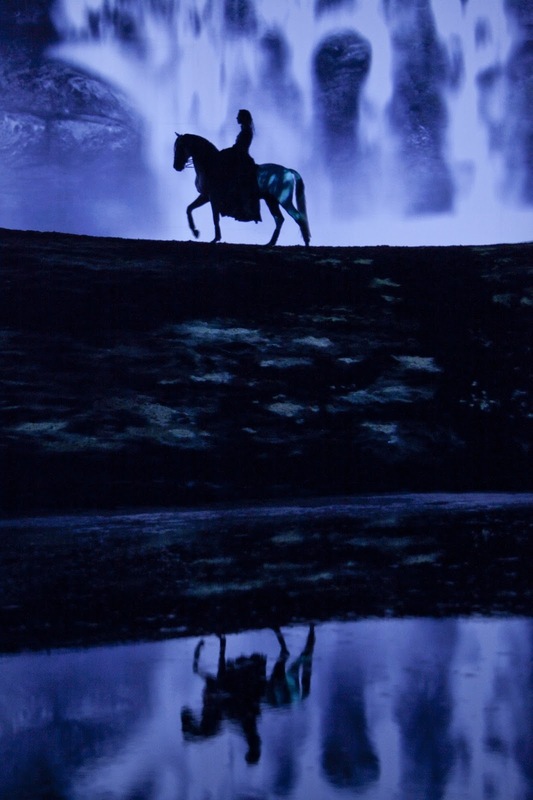 67 horses are used with 11 breeds including Appaloosas, Arabians and Lusitanos. * The horses come from Canada, France, Nederlands, Portugal, Spain, and The United States. 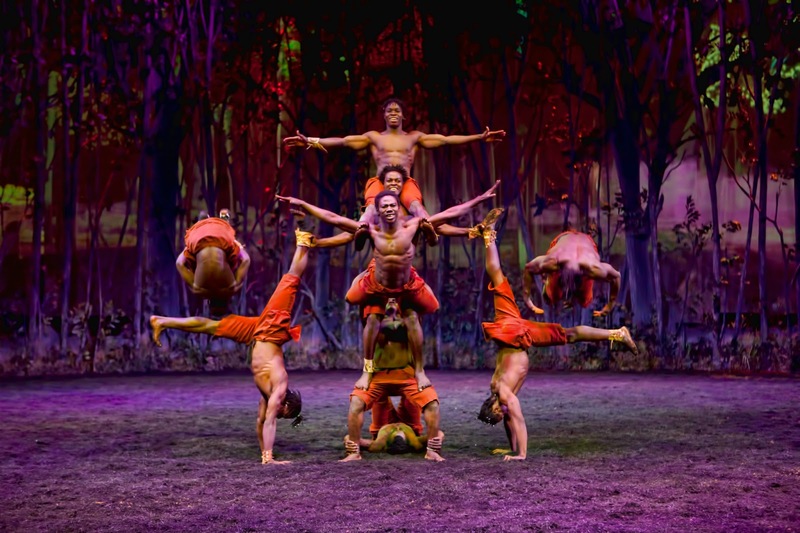 * 43 Artists- riders, musicians, acrobats, aerialists, and dancers. * There are 350 costumes and over 100 pairs of shoes and boots for the show. Artists may have to change costumes up to 7 times! * An artist may have no more than 90 seconds to change for their next number. 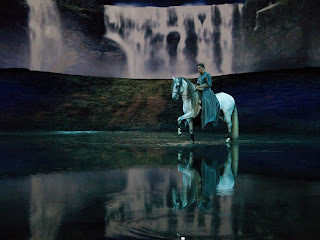 * A team of 20 artisans, including 4 cutters, 12 dressmakers, one property master, and one shoemaker worked in the Cavalia Studios to create the costumes. * Materials used in the costumes include, linen, silk, cotton, leather, and some imitation fur. The use of natural fibers gives the clothing a sheen and falls in a way that synthetic material cannot match. * The costumes are adapted to the artists needs, especially those of the acrobats and riders, to facilitate their onstage movement while not compromising their appearance. * The on-tour costume department consists of 1 wardrobe person and 3 dressers who launders, mends, and cares for the costumes. At times, they have to juggle 15 simultaneous wardrobe changes. They have 2 sewing machines, one shoe repair machine, and one overlock machine. All pictures are curtesy of Cavalia, Odysseo and cannot be reproduced or altered in any way without permission.